As usual Laz and Joan come up with great challenges. I was able to do one of my favorites, deviled eggs, adding a spin to the dish with one of my favorite salads. At Argentinian restaurant the first thing I order is the “ensalada Rusa” – Russian salad. This salad originated in Russia, but over time it’s made its way through Europe and South America. Boiled eggs, used the yolks and mashed them with grain mustard and mayonnaise. Cooked the potatoes (adding a few purple potatoes for color – that’s for you Christo) and carrots until tender, diced, cooled then added to egg mixture. At the end I threw in frozen peas for a bit of a crunch. Salt/pepper to taste and a dash of nutmeg. Now ladies and gents…CCC will be taking December off so we will see you in January 2014. To all, I wish you the best of the Season. 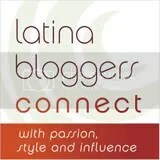 This entry was posted in Appetizers, Breakfast/Brunch, Eggs, Latin Contemporary, My recipes, Potatoes, Vegetarian. Bookmark the permalink. Devilled eggs have always been a favourite way to enjoy eggs Norma. Siempre me sorprendes. Me encantó esta adapatación de la receta! Se ve delicioso! Very nice Norma. 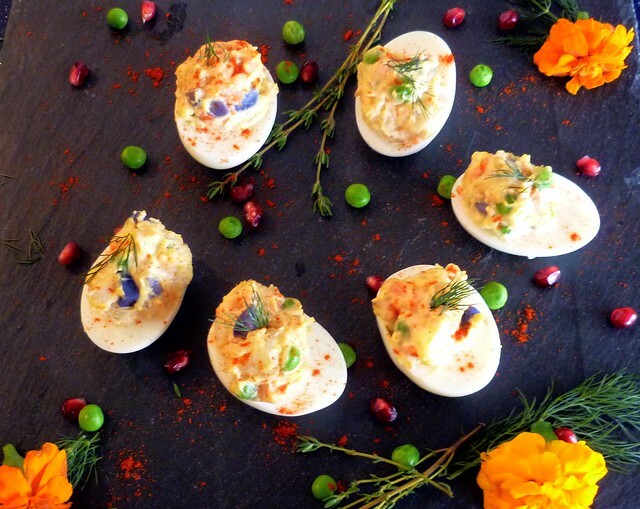 Now why didn’t I think of deviled eggs? I’m in the South, where everyone eats them all the time! I’m sure they’ll be on several Thanksgiving tables this year. Love the purple potatoes. How beautiful with the purple potatoes! Delicioso, or Delicious definitely describes the look. I was wondering what the purple was, love the purple potato hit of colour! Nice job, I love eggs any way you make ’em! You make even the most humble dish beautiful and so appealing. These look great! U gave me a GREAT idea. Love the Colors, only U would have thought of purple potatoes – very festive. 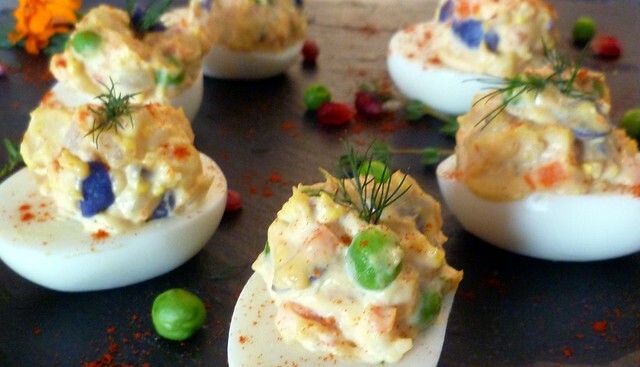 Deviled eggs are one of my favorite bites in the world, and you have actually managed to put a twist on them I haven’t seen before!! Yum! My first handwritten cookbook from college has a James Beard Russian salad in it…. a la Russe. Love it. Love deviled eggs too, make them nearly once a week. I should love to mash the two together. Looks adorable too. Great bite for the holidays. these are so happy and festive and yummy! I love the purple potatoes in here! Oh love this original twist on the classic deviled egg, very tempting to eat up the whole plate. I first had Russian salad when we lived in Santo Domingo. Love your deviled eggs! 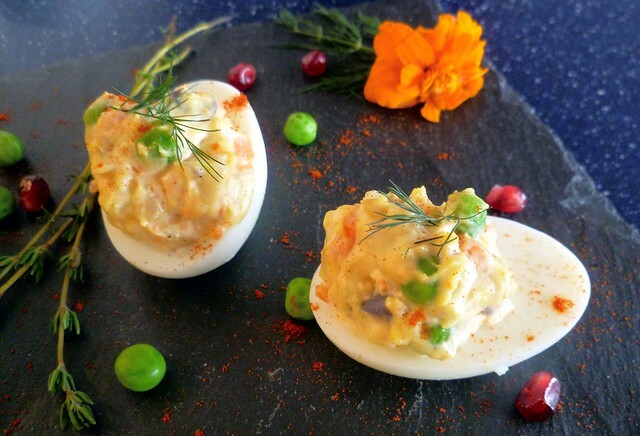 deviled eggs are always a favorite and I lived off ensalada rusa one summer in Spain! So pretty. Can’t wait to try them. Norma, I think I’m going to make these over the holidays! This looks so good! Have a good December! Merry Christmas! Besos! Oh LOVE this. The colours, and the plating.